“Do you need gloves? Gather all your cleaning supplies. Make sure you squirt the soft scrub in the toilet and let it sit while…” I was getting the instructions on how to clean the bathrooms while I was attending the four-day silent retreat last week. Is there any household cleaning chore more dreaded than tackling a dirty bathroom? I remembered telling my mom that if I ever had to do that chore I would work to make money to pay someone to do it for me. How I have changed! Now, after years of practice, I can perceive cleaning toilet bowls as a meditative practice. That is, since I started to think of cleaning as a practice in loving, caring, and making a difference. How can we apply this understanding to our everyday life for the things we perceive as boring, dirty, and unpleasant? This might be preparing Excel spreadsheets, gathering data from all over, drilling a hole, dealing with co-workers; whatever you dread. Can you change the meaning you give to the dreaded task and see if your emotions towards that task will change as well? We are so conditioned by the ideas that pour out of our TVs, radios, internet and social media – and often, our friends and family. We are conditioned by ideas that we must do certain tasks, wear a certain brand, drive a certain car, make a certain income; so conditioned that we start living in fear, worry, and lack. May I invite you to break free from the hold of what we may have accepted until now that we should be like, and no longer consider as trendsetters those people who are simply admired and imitated without having actually accomplished anything? 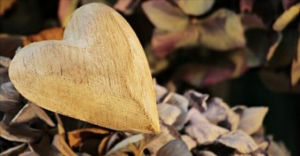 Let us connect to what matters to us and attend to our everyday tasks and life as practices of love, care, and making a difference. Witness or experience the resistance, and then remind yourself to focus your attention not just on the dirt, the boredom, the discomfort, but on the beauty, the support, the difference you are making. Joy and beauty are available to you in the seemingly mundane activities that you do. Notice the gentleness here of the reorientation; it is a subtle shift in perspective. Be present in the here and now, no matter how pleasant or unpleasant the experience may be, and you can surprise yourself. Keep in mind that our approach to physical dirt, boredom, or discomfort trains us to straightforwardly deal with non-physical dirt at every level. 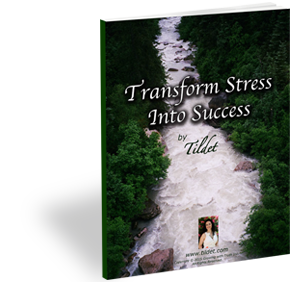 Maybe the tasks that are seen as stressful or exhausting can take on a new meaning. Why not give it a try? If you check out the self-help section of Amazon or any book store, you’ll find hundreds if not thousands of titles aimed at increasing our personal happiness by losing weight, getting a better job, finding the ideal mate, taking the perfect vacation, eating the latest trendy food, or making more money. The latest research on happiness suggests there are as many definitions or experiences of happiness as there are people. Finding our own brand of personal happiness is a bit like appreciating art – it’s subjective, but we know it when we see it. Though happiness is unique to each of us, we have control over our own happiness (or unhappiness). We can measure it, control it, and learn to cultivate it. In other words, we can proactively train ourselves to feel happy. Simply wanting to experience more happiness won’t make it so. The happiest people are the ones who take charge of their attitudes, thoughts, feelings, and behaviors. “Taking charge” is being able to align your thoughts and actions with core values, the result being serving the higher good of oneself and others. Finding the secret to your own experience of happiness doesn’t require a trip to the moon, a submarine ride to the bottom of the ocean or digging it up on the lonely prairie—it lives within. It is very easy to fall into making assumptions. I believe as the change in our communication is happening more rapidly through technology the third agreement, “Don’t make assumptions”, will get harder and harder to implement. Today’s very rapid pace of communication through technology is decreasing the interaction between people and making people instead interact with their own thoughts, so the conversations end up being one-sided. You speaking with you! When was the last time you looked at Facebook or Instagram and assumed from the pictures there that person was having the time of her/his life, while not knowing their reality? And have you ever received a text message and thought you knew exactly what it was saying, only to find out that the sender’s intention was quite different? We are thinking and thinking… What is she doing? What is he doing? What about this? What if?… Every human can think a lot and this may cause worry, fear, and anxiety. From there, we start to create the assumptions and the drama yet we don’t always know where it started. Yes, we often can assume a lot of information based on our own interpretations, beliefs, moods, or values. A client of mine was working on managing his relationship with food, but was faced with his mother having given him a “CARE package” after Thanksgiving, with a complete pumpkin pie being the main event along with many other goodies. We had a heartfelt discussion of what food means to my client – and his perception of what it might mean to his mother. He was afraid to tell her that he would rather not have such a large amount of food all at once, because he thought his mother would feel deeply hurt and not loved. After looking at the situation together, my client and I agreed he would be open and have a heart-to-heart discussion with his mother. He understood that speaking clearly and openly, instead of making assumptions, would lead to a better result and a closer relationship. In this and many other life situations, imagine instead of just being in your head, speaking openly and looking and gaining for mutual clarification while getting what you really need. 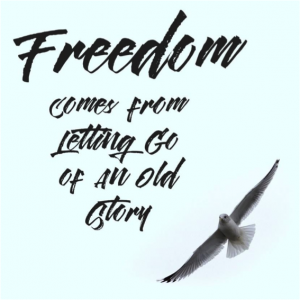 How freeing that is! During your interactions with people this holiday season, be aware of your own thinking. You can truly enjoy not making assumptions, and you will experience the positive results that you create. Of course this principle is not only for the holidays; it applies to your whole life. Honest and open relationships are what make our lives meaningful, and filled with love. “I didn’t know boxes give birth” I said to one of my dear friends who asked how I was settling into our new home. That is exactly how I felt and I was not liking it. My perceived “dark side” — doubtful, perfectionistic, and questioning everything — started showing up. My first instinct was to avoid those aspects of myself. Yet over the years I have learned how to embrace them knowing that my light and dark sides exist in relationship to each other, and are available to help me reach a higher potential and live more fully. For a couple of days I let my dark side play, allowing the full range of my humanness to take place. I observed and allowed myself to feel all my feelings instead of trying to distract or suppress them. The poem tells us that embracing the rhythms of life, the light and the dark, the contraction and the expansion, the joy and the pain helps us to get authentic, which is the way back to joy. When I realized that, through my two days of reflection, I became comfortable with everything that I was feeling, and was more able to relax and enjoy each moment. And in celebration, I bought roses for myself. 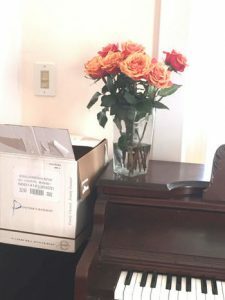 Because boxes and roses belong together! Next time uncomfortable feelings and thoughts are showing up for you, instead of distracting yourself with busy-ness or addiction or obsession of any kind, try to be mindful and sit with the uncomfortable parts of your experience. Allow yourself to BE, so that you can draw from your inner capacity and grow. It is a good step on the path to a more fulfilled life. Enjoy! There are boxes everywhere in my apartment. As I stuff one more tablecloth into the latest box to close it, I can’t help but drift in my mind to all the changes and transitions that I have gone through in my life — some positive ones and some negative ones as well. A little tear of gratitude rolls down my cheek and I smile, as my heart flutters with both excitement and nervousness about tomorrow. Tomorrow is the end of over ten years of living alone. 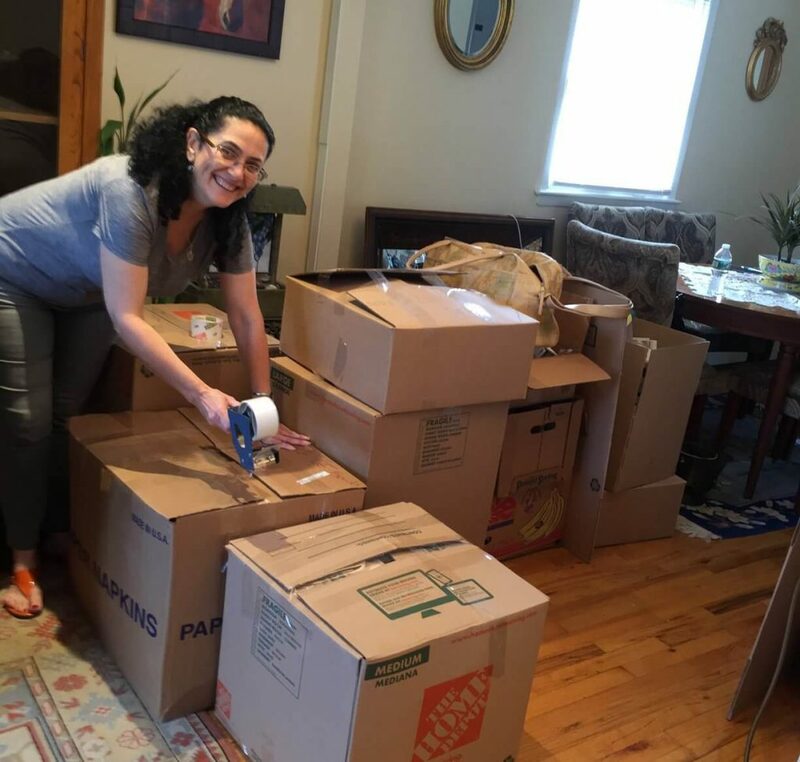 I am moving in with my sweetheart into our new home in Roslyn. I am grateful, yet sometimes the fear of the unknown surfaces. What I am realizing in the process is that change even chosen lovingly is not very easy. Instinctively we want to repel it and go back to our comfort zone. Although intellectually I know and understand that “the only thing constant is change”, I still have butterflies! I ask myself, “What is it about the world that can seem so threatening when change happens?” Why is it that many of us are instantly repelled by the thought of change? Clearly, we do get comfortable in the way we are doing things, even when that way is far from ideal. Then, when something takes us out of our comfort zone — loss of job, promotion to a new job, moving to a new town, whatever it is — we feel uncomfortable because we are not sure what is ahead, and how we will handle it. Winston Churchill said: “A pessimist sees difficulty in every opportunity; an optimist sees opportunity in every difficulty”. I wonder if he was always an optimist! In Eastern thinking one of the main teachings is that everything in life is impermanent. And the Western expression is nearly as ancient: “the only thing constant is change” was originally written by Heraclitus, the pre-Socratic philosopher. The good and the not-so-good (or just-plain-terrible) do not last; everything exists only for a finite time. That is a fact of life and to resist that fact does not help, because it does not change the reality. This reality has deep meaning for us as human beings. When we accept the fact that nothing lasts forever, we are far better equipped for the journey. Struggle occurs when we resist reality, so the best way to end the struggle is to fully embrace the impermanence in life. Upon reflection, I suddenly realize that I can re-interpret my feelings of the butterflies as anticipation of a new adventure. With this shift, I am open to the good that is coming my way, and I feel joyful anticipation in my heart. I observe in myself two simultaneous experiences: anticipation anxiety, and joyful anticipation. And it is good. Changes are generally more challenging when change is due to a so-called negative event; the ability to go from resisting change to embracing change is still possible, although it may not happen overnight. So the next time you are faced with an experience which causes your reality to change, for “better” or “worse”, please take a deep breath, take a step back and embrace the opportunity. Embrace each moment. If we could learn to understand change as the fundamental reality of our lives, we could live happier and feel more fulfilled. 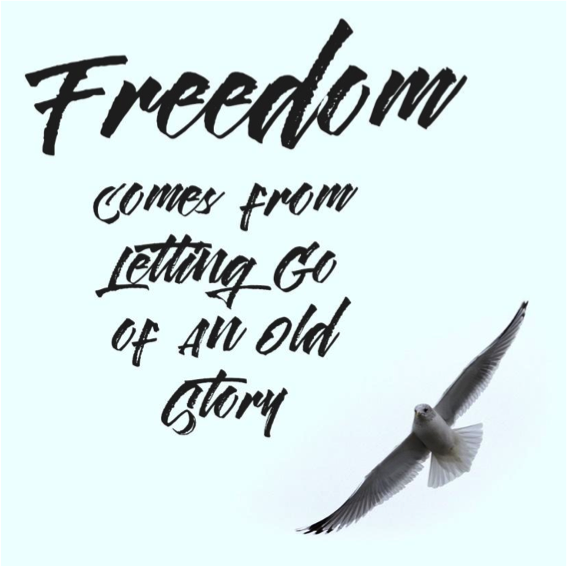 If you’ve identified a story in your own life that isn’t serving you, ask yourself what would happen if you let it go. How would your life change? And you can probably identify a story you have that serves you well. How does that story help you? In the Inner Mastery Academy this month we are working on changing our stories that don’t serve us and creating new stories. 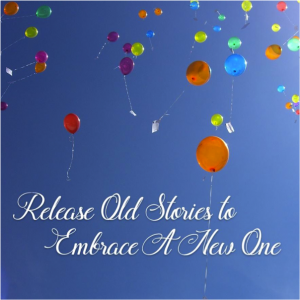 It has been so transformative that I wanted to share with you and remind you how you can create your own story that you want to live by. Edward was a successful business owner who always told himself, “I’m not good with money.” He used this story as an excuse to not pay attention to the numbers in his business. He was constantly behind on his taxes and he procrastinated getting an LLC set up, even though he knew it would protect him. But one day, a friend and fellow business owner called out Edward on what he was saying. His friend told him that this story was holding him back from the next level of success. It was Edward’s way of playing small and staying safe. 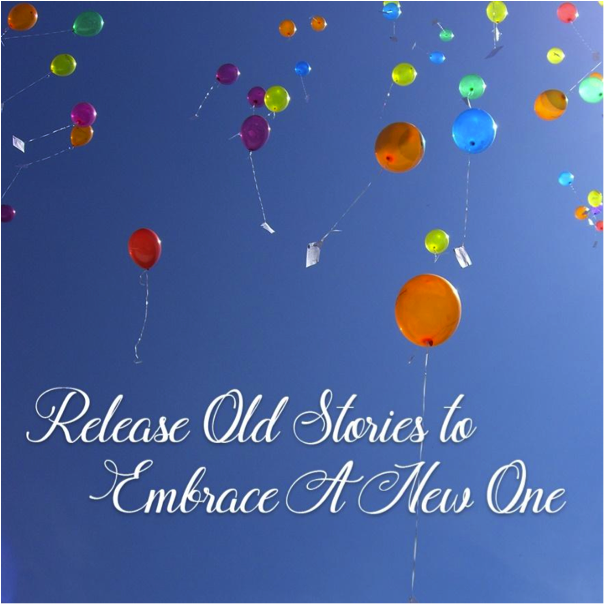 Every day, we create or use narratives about our lives. These are the stories we tell ourselves about who we are, where we came from, what we want — and what we are capable of. Edward took his friend’s words to heart and he got started creating a new story. He hired a bookkeeper so he knows exactly how much he earns. He started paying his taxes on time so he’s not behind anymore. He even filed for that LLC license he needed. Now, Edward doesn’t feel stressed about numbers. This means he is free to spend his time on creating more products for the community he loves serving. It gives you energy and makes you see the world in a new way. It also helps you create space for more of what you love and want in your life. 1. What’s the story you keep telling yourself and others about your life? About your business? 2. What are you gaining from this story? Does it make you feel safe and comfortable? Does it protect you from responsibility? 3. What would happen if you let this story go? What would your life look like?